We all loved “Gutthi’s” character on Kapil Sharma show, didn’t we? 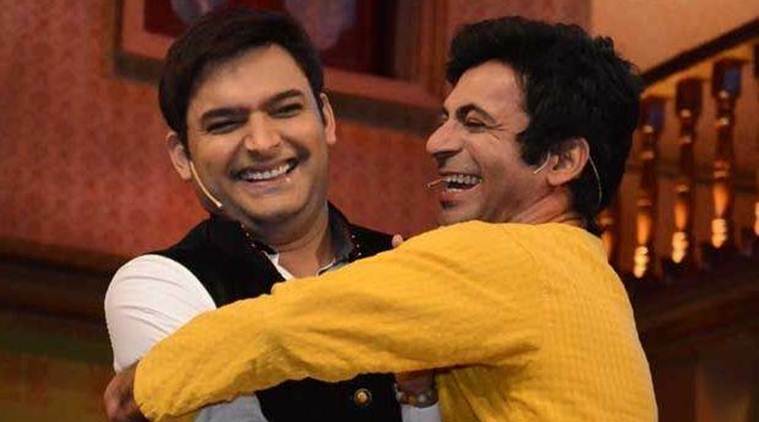 The fans were hoping to see Sunil Grover on Kapil Sharma’s new show “Family Time with Kapil”. But the show is already the talk of the town. After Sunil Tweeted to his fans answering if he’s showing up on the show Sunil Grover says “I was hoping to get a call for this show and I haven’t even changed my number. After waiting for a while I signed a new show you all be seeing me on TV very soon”. 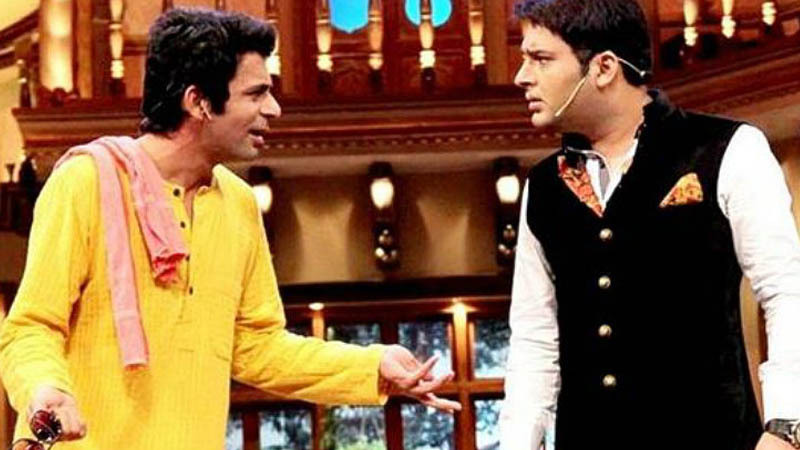 Kapil Sharma accused of not approaching Sunil. That being a good news for Sunil’s fans. Kapil Sharma has now broken the offense and tweeted “Paji I called you more than hundred times and I came to your house to meet you twice every time you were out for some show and all please don’t spread rumors that I didn’t call you”. Although Sunil still maintains his word. Says that Kapil did not call him. This surely seems like another better war between the two. 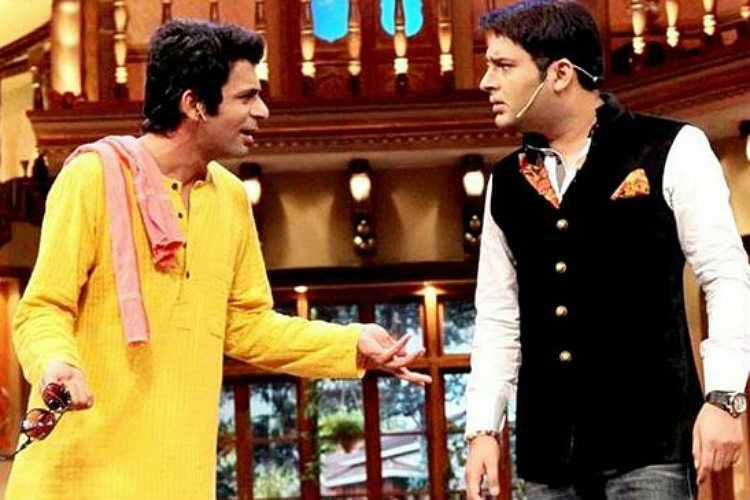 Last year we heard Kapil fighting off with Sunil after which Sunil Grover left the show. 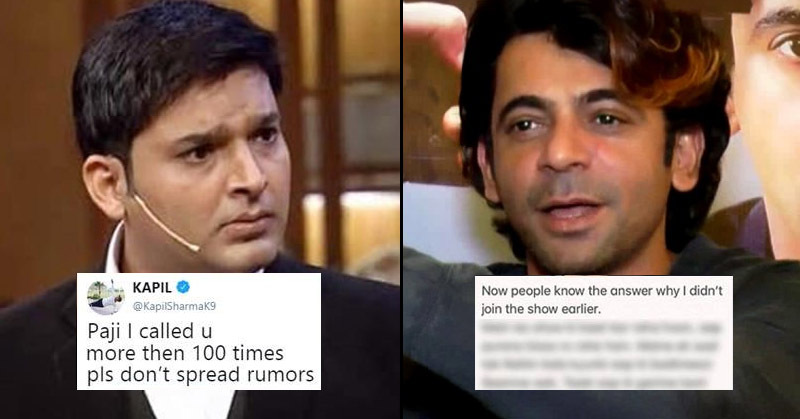 Kapil Sharma goes on to reply the tweets of some of the fans and accuses Sunil of lying and spreading bad words against him. Hahaha.. nahi mere bhai .. kabhi kabhi bolna hi padta hai.. nahi to log bahut advantage le jaate hain.. It takes a bad turn when some of the fans started talking about their previous fight. 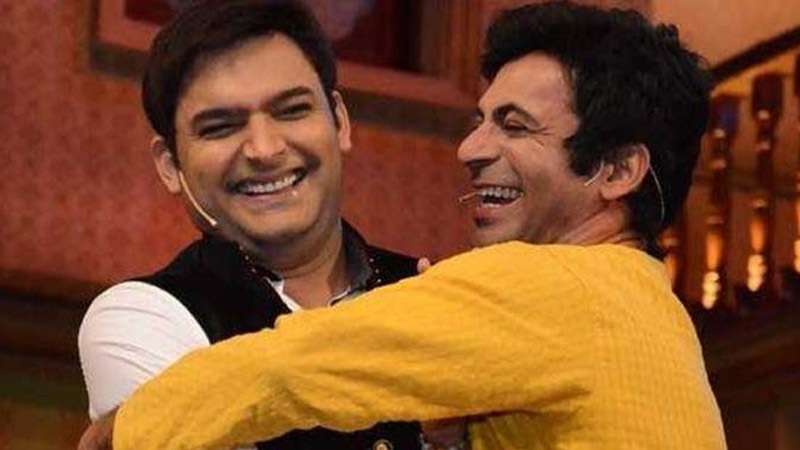 Kapil Sharma says that “It hurts that I worked hard for you and you go on spreading rumours” on which Sunil says that “I didn’t want to hurt your dignity and spread bad words about you we have done some good work together”, Sunil even wished him health and good luck for his new show. So guess we won’t be seeing this Chemistry again on television. Hence we will see Kiku Sharma and Sumona Chakravarti this time also. Which is going to be a game show and, we all wish him luck for this. So now we are all excited to see Kapil back again. Hence find out who is co-hosting the show with him.